Back your home up with a generator and never worry again about power disruptions! Power protection is more important than ever, as unexpected power outages have become more frequent and are lasting longer. Causes range from severe weather to overtaxed power grids. Portable or automatic, with a standby generator you can maintain your life style no matter what mother nature throws at you. In the following information we will show you how we can help you be independent of the power grid. Choosing the type and size of generator depends on what items are most important to you in a power outage. First of all we will describe the difference between portable and automatic. A portable generator is intended to be put in use manually upon loss of power. A portable unit generally is mounted on a frame and equipped with wheels so that it can be put into place when you loose power. Provisions are made at your electrical panel to allow you to hook the generator into your home’s electrical system. An advantage for a portable unit is that beside backing up power in your home, it can also be used for camping, outdoor projects, job site use, and outdoor events. The limitations to a portable unit are chiefly that you need to be home to hook the unit into your electrical system, and usually intended to only backup a few select loads. Another disadvantage is that portable generators run primarily on gasoline or diesel fuel, which will need to be kept stored on-site. Both gasoline and diesel fuels have limited storage life before they degrade. 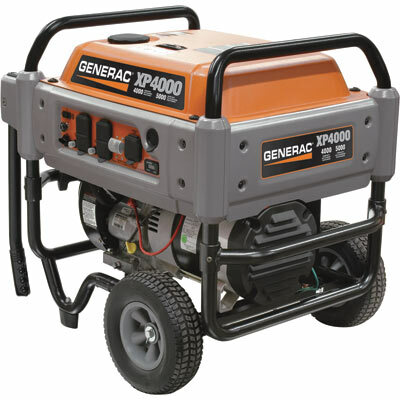 We can provide you with gasoline powered Portable Generators from 1,800 watts up to 17,500 watts! These are available in General Purpose and Contractor Grade. Manual Power Transfer Switches are available from 30-60 amps. Emergency Transfer Panels are available from 6-circuit, 20 amp to 16-circuit, 60 amps. 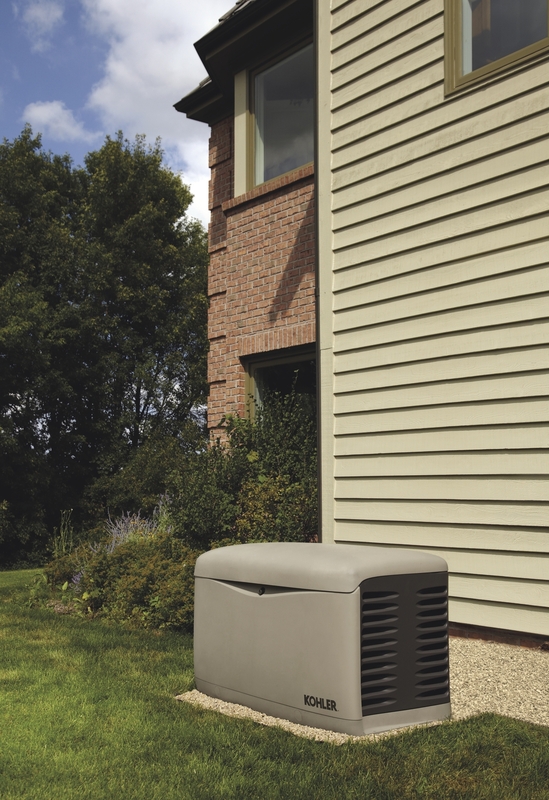 Unlike a portable unit, an automatic standby generator works by monitoring the utility voltage to your home 24/7. When the electricity is interrupted (or drops below a certain voltage level) the generator detects the problem and goes to work…. whether you are home or not! The automatic transfer switch safely disconnects the utility line and transfers to generator power. When utility power is restored, again the automatic transfer switch transfers from generator power to utility. These power transfer happens in seconds, and you do not have to be present for this to happen! Automatic units run on your home’s existing LP (Liquid Propane) or natural gas supply, so manual fuel transfer to the generator is eliminated. Natural gas and LP are also cheaper and easier than gasoline or diesel fuels. The unit sits outside your home just like a heat pump or central air conditioner. Automatic Standby Generators (LPG/NG powered) are available Air Cooled from 8,000 to 20,000 watts and in Liquid Cooled units in sizes ranging from 22,000 to 150,000 watts. Diesel units are also available. We can provide Automatic Power Transfer Switches from 50 up to 400 amps. There are two main approaches to sizing your backup generator; The Basics – Cover just the basics by deciding what minimum number of loads will be required during an outage. Whole House– With a properly sized unit it is very feasible and reasonable to power every circuit in your home, just as if you were connected to the utility grid. It’s possible through the use of a load shedding power management device to manage two large loads instead of only one which can reduce the size of the generator required by locking out the non-essential load until demand for the essential load is satisfied.